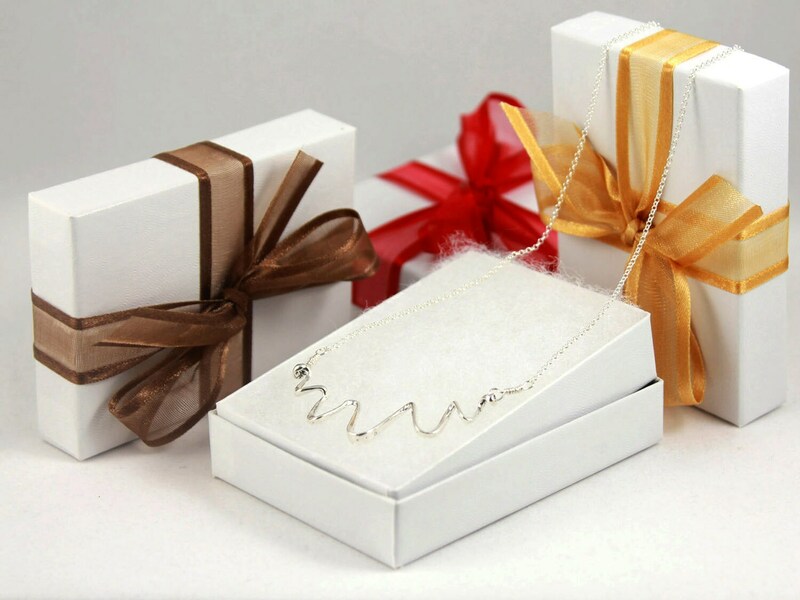 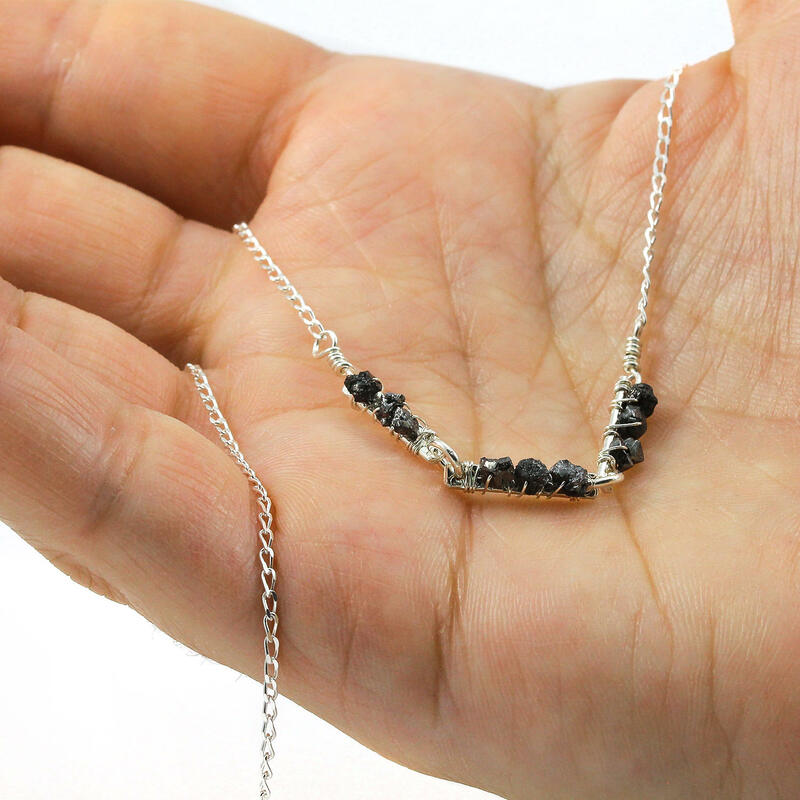 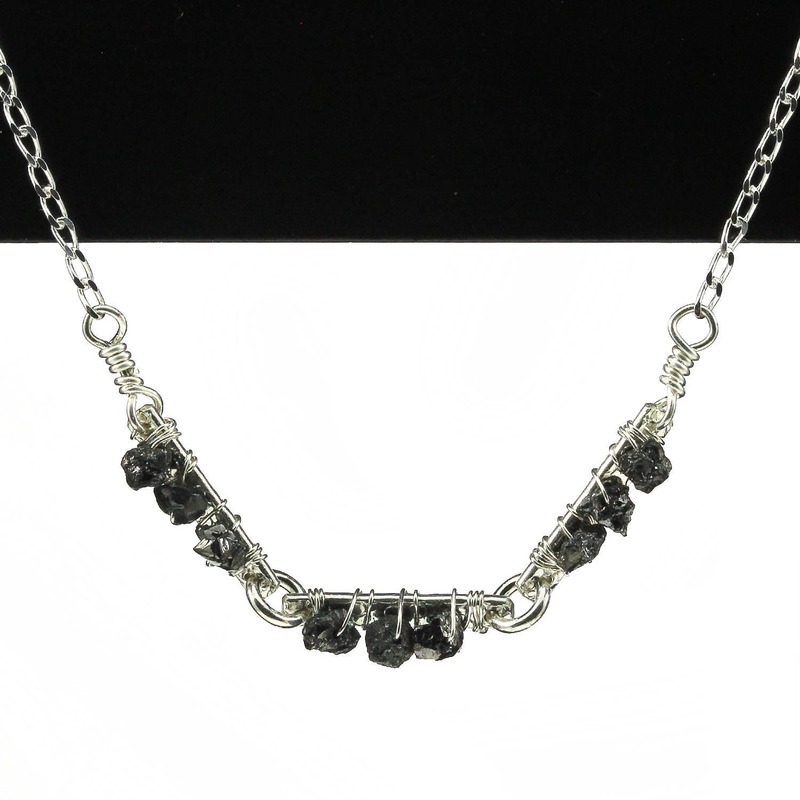 This simple and elegant necklace includes a Sterling Silver textured bars wire wrapped with nine precious black Rough Diamonds. 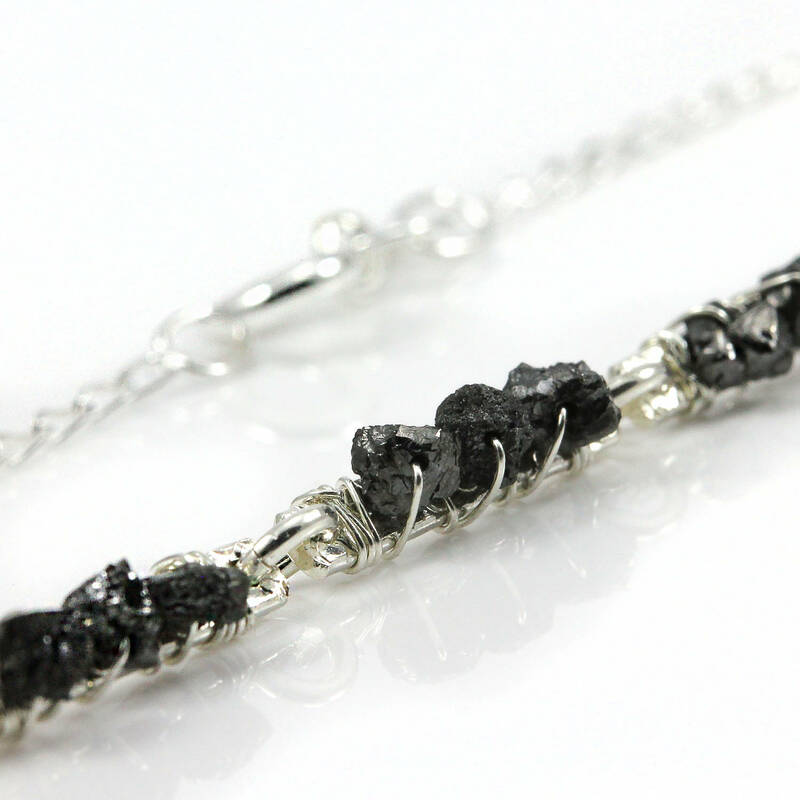 The Diamonds have a natural color variance from dark grey to black and measure approximately 2.0 – 2.5mm. 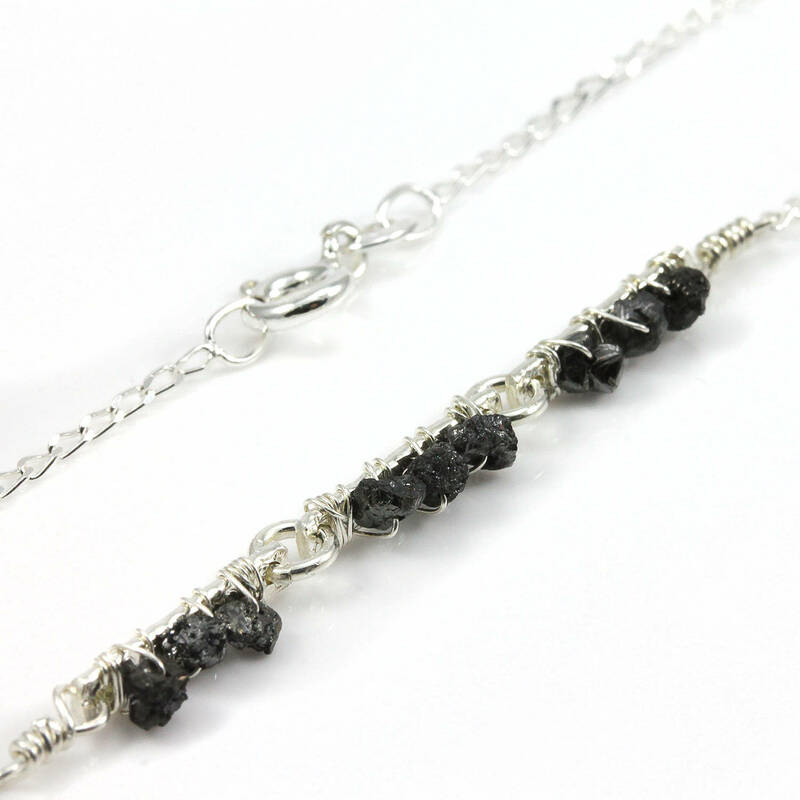 Each texture bars measure 13x2mm, and they are connected to each other by jump rings.